Photo taken by Bogdan in Neptun, Romania. 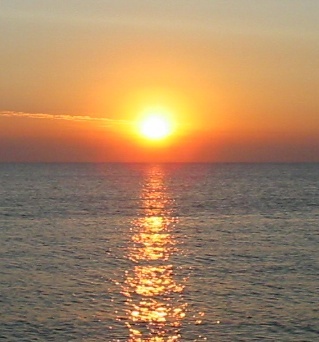 Sunrise over the Black Sea. In keeping with the musical prayers I’ve been posting in connection with the voting on Amendment One, here is one that I offer on this, the morning after. I believe it captures the defiant hope that has not yet been strangled out of us. If you want to pray, then pray with me and belt this song out at the top of your lungs from the bottom of your heart! Great song indeed. Love it.